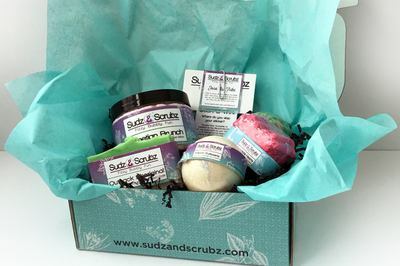 Enter your email address below to receive a notification when Sudz & Scrubz starts accepting new sign-ups! Enter your email address below to receive a notification when Sudz & Scrubz is accepting new sign-ups again. 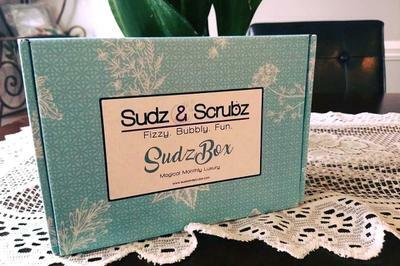 Use code SAVEMESUDZBOX at checkout to get a 15% off SudzBox! Boxes ship around the 20th of the month so that you can enjoy your box before you are re-billed the last day of the month. The cut off date for each month is 15 days before the last day of the month. If you miss the cutoff, your first box will be the next month! 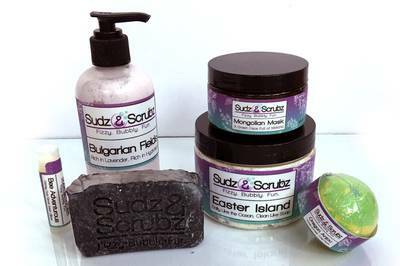 Sudz & Scrubz offers handmade, quality bath and body products that are festive, fun and won't break the bank. 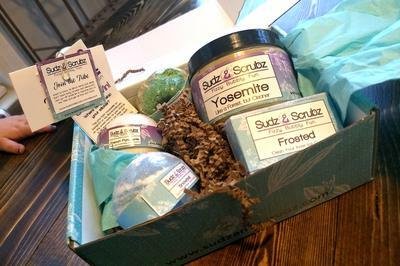 Our subscription boxes will introduce you to all kinds of new products you may not have tried and will fall in love with! Each month, will be a new array of scents and items that will make your bathing experiences relaxing and spa-like. I am in love with the lotions. They smell so good. Great products! !